Once the size and term of the loan have been determined, there are four factors that play a role in the calculation of a mortgage payment. Those four items are principal, interest, taxes and insurance – often referred to as (PITI). As we look at these four factors, we’ll consider a $100,000 mortgage as an example. A portion of each mortgage payment is dedicated to repayment of the principal. Loans are structured so that the amount of principal returned to the borrower starts out small and increases with each mortgage payment. 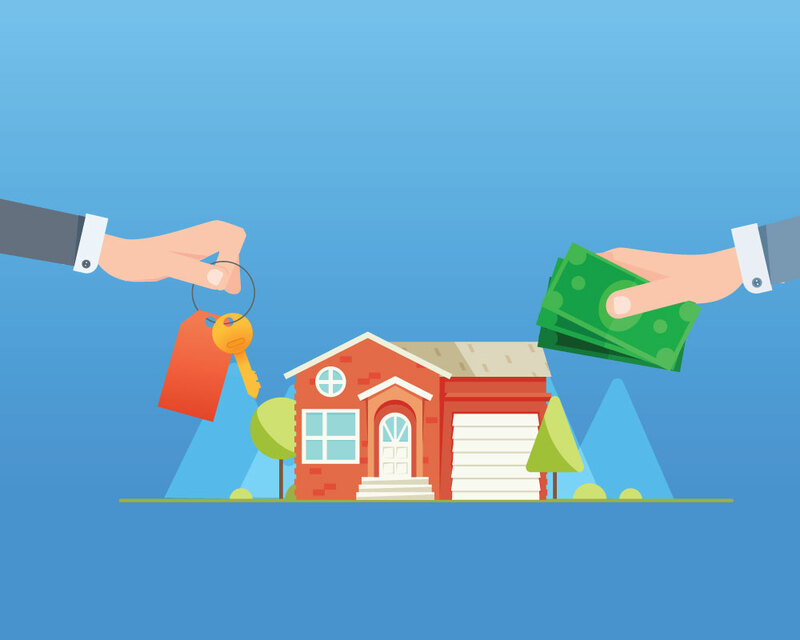 While the mortgage payments in the first years consist primarily of interest payments, the payments in the final years consist primarily of principal repayment. For our $100,000 mortgage, the principal is $100,000. “Interest” is the lender’s reward for taking a risk and loaning money to a borrower. The interest rate on a mortgage has a direct impact on the size of a mortgage payment – higher interest rates mean higher mortgage payments. If the interest rate on our $100,000 mortgage is 4%, the combined principal and interest monthly payment on a 30-year mortgage would be something like $478.00 ($333.00 interest + $145.00 principal). The same loan with a 6% interest rate results in a monthly payment of $600.00 ($500.00 interest + $100.00 principal). Real estate taxes are assessed by governmental agencies and used to fund various public services such as school construction and police- and fire-department services. Taxes are calculated by the government on a per-year basis, but individuals can pay these taxes as part of their monthly payments. The amount that is due in taxes is divided by the total number of monthly mortgage payments in a given year. The lender collects the payments and holds them in escrow until the taxes are due to be paid. Like real-estate taxes, Hazard or Homeowner’s insurance payments are often made with each mortgage payment and held in escrow until the bill is due. Insurance protects the home and its contents from fire, theft, and other disasters. We’re here to help answer all your mortgage questions. For more information please fill out the form below or call one of our loan specialists at (888) 329-8518. © 2019 Residential Bancorp. ©2019 Residential Bancorp - Corporate NMLS ID #210853 located at 5686 Dressler Road, NW, Canton, OH 44720. All rights reserved. Doing business in the State of California as Residential Bancorp. Licensed by the California Department of Business Oversight, Residential Mortgage Company Registration License #4131217. For all licenses, visit http://www.nmlsconsumeraccess.org/. Residential Bancorp strives for compliance with all applicable state laws and federal regulations pertaining to mortgage lending, advertising, and marketing laws. THIS PRODUCT OR SERVICE HAS NOT BEEN APPROVED OR ENDORSED BY ANY GOVERNMENTAL AGENCY, AND THIS OFFER IS NOT BEING MADE BY AN AGENCY OF THE GOVERNMENT. All applications are subject to underwriting guidelines and approval. This does not constitute an offer to lend. Not all applicants will qualify for all loan products offered. All loan programs, terms and interest rates are subject to change and/or discontinuance without advance notice. Equal Housing Opportunity. | Doing business in the State of Alaska as Resban, Inc., A Mortgage Company not a Federally Chartered or State Chartered Bank, Licensed by the Division of Banking and Securities.